Sometimes you crave a little French luxury and English biscuits just won't cut it. When you get that urge in London head over to Ladurée for lovely little sweets so pretty you almost won't want to eat them… almost. Ladurée hails from Paris and is one of the most famous French pastry houses in the world, known and praised for their colorful macarons, easily their most popular treat. If you've samples the macarons before branch out and try some of their other desserts such as the mille feuille, it's layers of vanilla custard and flaky pastry will be sure to please. The Tea Salons also serve a full menu of posh French dishes, making the restaurant a good option for a special night out. 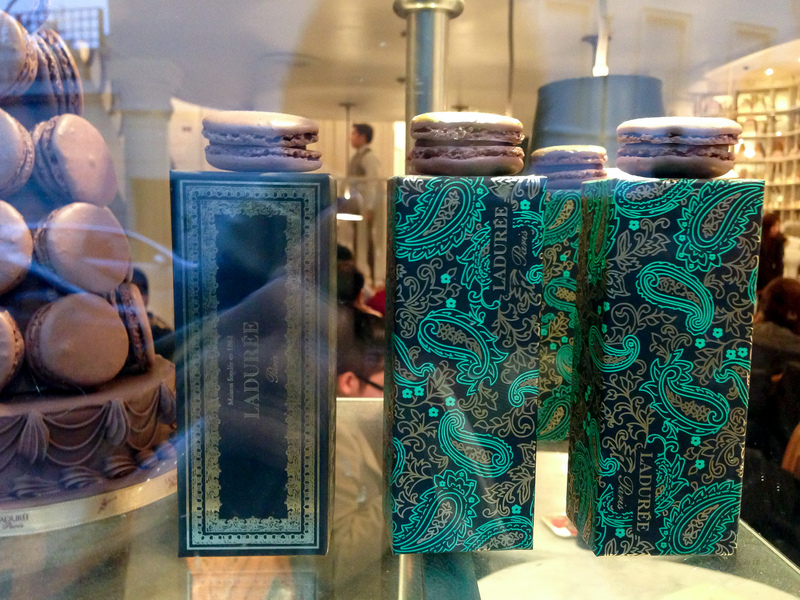 Clearly Londoners have a soft spot for their sinful sweets because there are 3 Ladurée shops in the city. The Mayfair location is inside the Burlington Arcade which is surrounded by designer shops on all sides, while the ultra rich Harrods shoppers break from shopping escapade to indulge in the full service tea room in the large department store. The newest location is in Covent Gardens and tends to be a bit more touristy than the rest. A box of macarons from Ladurée is fully decked out with colorful packaging and foil writing making this the perfect gift—you can stop yourself from finishing the box before you get there.